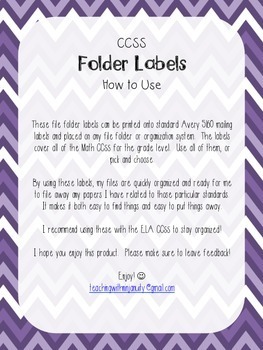 These AVERY 8160 labels are perfect for organizing your files for the Common Core State Standards. 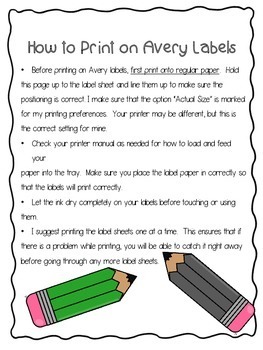 Each label has the CCSS in big, easy to read print, with the standard written out next to it. 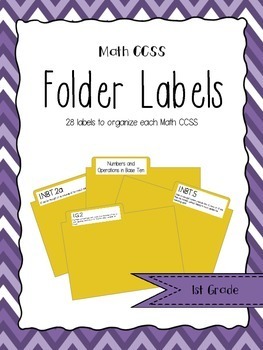 Additional labels include one for each strand (Operations and Algebraic Thinking, Numbers and Operations in Base Ten, Numbers and Operations - Fractions, Measurement and Data, and Geometry) to hold in any strand specific type of papers. 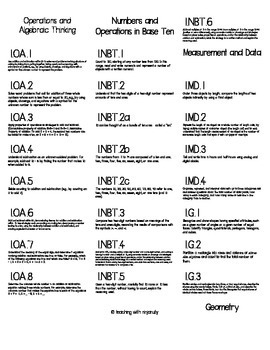 Each substandard of each standard (i.e. 1.NBT.2a) is included. Use them all or pick and choose which ones are most important to you. Looking for 2nd, 3rd, or 4th Grade? Check out the bundles here!